Two of Notitngthamshire’s promising young players, Luke Wood and Tom Moores, have signed new contracts at Trent Bridge until the end of 2019. Left-arm seamer Wood and wicketkeeper Moores made good progress during the club’s momentous 2017 campaign, and both are now relishing the chance of playing in the top flight of the Specsavers County Championship after promotion. 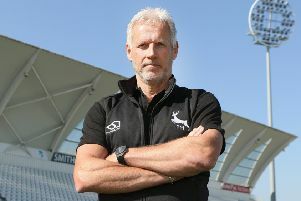 Wood, 22, finished the four-day season strongly, taking eight wickets against promotion rivals, Northamptonshire, and ending with 18 in total in the Championship at an average of 28.44.